This giveaway is now CLOSED. Thanks so much to our wonderful sponsor Staples! We look forward to working with you again! The winner is 'Jessie C'. (We have many Jessie's, please note this Jessie, has already sent her address and claimed her win!) Remember: There are great giveaways active on the upper right hand side of the page! Watch for the return of our Monthly Book Club! A few weeks ago, I attended a Staples Back to School themed event in NYC (Thanks to Lisa @ New York Chica for sharing this information with me!) and not only did I have fun re-connecting with New York based Bloggers I know, but also got a chance to preview some great items for back to school that I am looking forward to sharing with you! As most of you know I'm not a Mom but I am an Aunt and a God-Mother and actually enjoy helping my nieces and nephews shop for their Back to School items. I've got a range of ages to help shop for, but I don't like having to visit too many different stores to get the lists completed. Being able to tackle each age group in one place is a huge time saver, let's face it, 'Time is Money'. Ƹ̵̡Ӝ̵̨̄Ʒ - Supplies for a Cause - Teens can be encouraged to convert their energy and ideas into positive action with the new DoSomething.org-inspired products ($0.99-$11.99), exclusive to Staples. These products help students stay organized while learning about important issues impacting their communities. 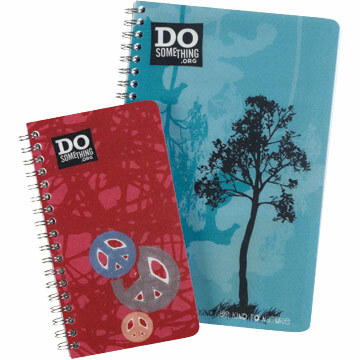 The collection includes planners, notebooks, comp books, pocket portfolios and 3-ring pencil pouches featuring cool designs including background on social issues and tips on how students can make a difference. 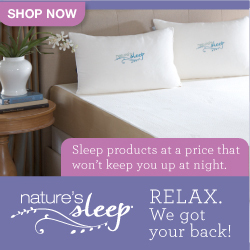 Ascending Butterfly loves 'guilt free shopping' and products that give back. Encouraging young people to get into a mindset that teaches them that their dollars are buying power that should be leveraged to make a difference is important! Ƹ̵̡Ӝ̵̨̄Ʒ - Go Glam- Add some ‘bling’ to the classroom with the new Glam Rocks Collection. Sparkle in style with the hand-crafted Glam Rocks Staplers ($4.99) and Glam Rocks Pens ($4.99). Designs available in purple floral, pink color fade, royal blue and crystal clear. Students can also do some sparkling number-crunching with the Glam Rocks Calculators ($4.99). These went over quite well when I attended the event at Staples, and I scored major auntie brownie points with my niece when I got her these! Ƹ̵̡Ӝ̵̨̄Ʒ - Flash Forward- Exclusive to Staples, get a little flashy with the Omnitech 2GB Swivel Flash Drive ($12.99), designed to keep the cap in place. Available in new black and white, multi-colored dots and peace-sign patterns. These definitely went over well, and I couldn't resist picking one up for myself! 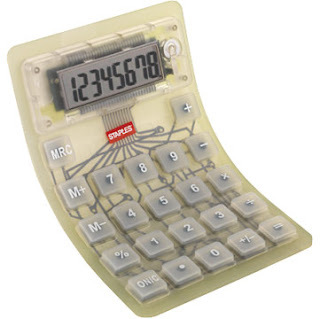 Ƹ̵̡Ӝ̵̨̄Ʒ - Cool Calculators- Math has never been more fun with these calculators, exclusive to Staples. Students can “flex” their math muscles - literally- with the new Staples Flexible Calculator ($3.99). It’s uniquely bendable with translucent and tie-dyed designs. 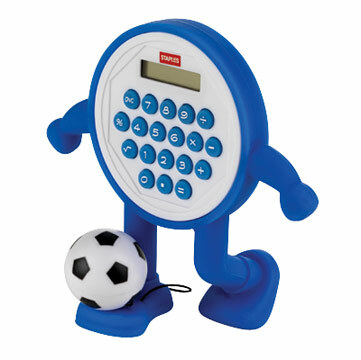 Ƹ̵̡Ӝ̵̨̄Ʒ - With the new Staples Soccer Buddy Calculator ($3.99) and its functional mini-soccer ball, achieving math “goals” will be easy. My soccer loving nephew named his FIFA and said this one was for HIS desk! Ƹ̵̡Ӝ̵̨̄Ʒ - Organize in Style- Students can let their personality show with Staples Brand fashion products ($1.99-$5.49), including binders, portfolios, notebooks and comp books, fashion dividers and more. Available in an assortment of stylish colors and designs from funky geometric prints to free-spirited paisley creations. 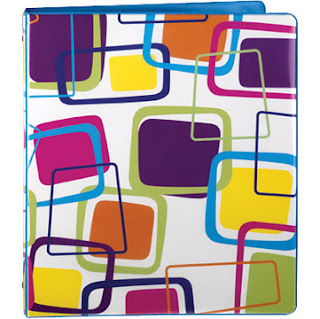 The Staples BETTER binder™ is built for long-lasting durability and to withstand heavy-duty daily use available in an assortment of vibrant back-to-school colors ($6.99-$14.79). I was tempted to keep one of these for ME, but ever the good aunt, I gave it up, but I am thinking of going back and picking up a few for myself! Ƹ̵̡Ӝ̵̨̄Ʒ - Zip-it - How do you make a pencil case out of a really long zipper? Just pull it and watch it zip into shape! The brainchild of a student whose class project called for turning an everyday item into something new, the Zip It-Unzip Your Mind pencil pouch ($5.99) is perfect for teen trendsetters. 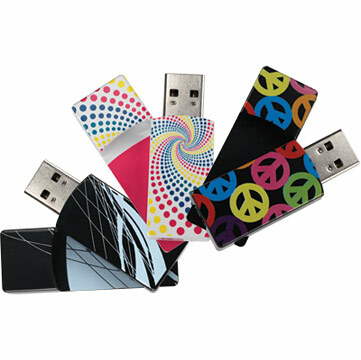 Available in stylish colors including black, purple and pink with exclusive rainbow-zipper design for Staples. This was my favorite product that was shown to us at the event, and my enthusiasm for it rubbed off on my niece too, she wanted one in every color, but I kept the hot pink for me because my ipod protector is pink and I've decided to put it into the Zip It Pouch so it would be safe inside my bag! (During the event Staples held 'zip and unzip offs' where the fastest bloggers won prizes!) I of course immediately asked about how well it washes to use as a cosmetics bag, and all you have to do is UNZIP it completely and throw it in the wash, the makeup residue comes right off and it looks like new again! The uses for this pouch are endless! Ƹ̵̡Ӝ̵̨̄Ʒ - WIN IT! - Thanks to our friends at Staples the lucky winner of this giveaway gets a $50 Staples Gift Card to help with Back To School Shopping (and with their 99 cent specials - check your local ad for details - this gift card will certainly go a long way!) Don't you just ♥ Staples? I know I do! Ƹ̵̡Ӝ̵̨̄Ʒ -How to Win: (1) You must be a PUBLIC follower of Ascending Butterfly to be eligible for this and all giveaways. Indicate in your entry that you follow (if your 'comment name/user id' differs from your profile id, please let me know what name you follow under) and (2) Mandatory Entry (this must be done for all others to count): Visit Staples and post the URL Link (NOT THE NAME) of any OTHER back to school item aside from the review items! (3) You must also leave your email address somewhere in your comment. (You can format it this way for security, example: ascendingbutterfly AT mail host DOT com). (If your email is clearly visible in your profile, you can just say so, that's OK!) Please follow the easy 1, 2, 3 steps to winning (or in this case, the A,B,C’s of winning!) This giveaway is open to USA residents who are 18 years of age or older. I receive Ascending Butterfly emails. http://www.staples.com/Staples-Composition-Notebook-Wide-Ruled/product_201384?cmArea=SEARCH is what i will be buying. I like this: http://www.staples.com/Safco-Wood-12-Bin-Supplies-Organizer-Bins-Included/product_558572?cmArea=SC1:CG15:DP1525:CL142212. Thanks for the chance. I'd love to use this gift card toward it!!! I follow @StaplesTweets on Twitter as @katygmorris. I like Staples on FB as Katy Morris and just told them I had entered this giveaway on your blog on their wall. I just voted for you on "Fuel My Blog" as katygmorris. I just Dugg this giveaway post on Digg as katygmorris. I "favorited" this giveaway post on Technorati as katygmorris. I follow you on Networked Blogs as Katy. My icon is the breast cancer support pink ribbon. I'm a memeber of your Ascending Butterfly's NEW Community/Real Time Chat and my username there is katygmorris. and entry number two for the facebook wall posting. . . I reviewed your site on Alexa as katygmorris. I voted for you on Bloggers' Choice Awards as katygmorris. 1. I follow Ascending Butterfly (jenbutterfly12). I follow you on twitter (jenbutterfly). I faved you on technorati (jenbutterfly). I follow you on networked blogs (jennifer garrido). I am a part of the new community (jenbutterfly). I voted for you in the Blogger's Choice. My email is in my profile, thanks! I could use the Brother Laser Printer since my SIL says they costs less to operate than inkjet printers. Like/Follow Ascending Butterfly on Facebook. We could use the HP Officejet 4500 All-in-One. I follow as Melanie L.
Another back to school item is a backpack. 1 I publiclyy follow you on google friend connect. FOLLOWING STAPLES ON TWITTER USER NAME "kytah00"